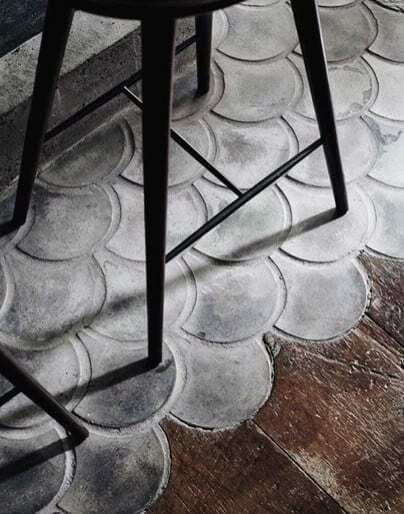 From Hexagon to Herringbone, floor tiles are making a statement like never before! 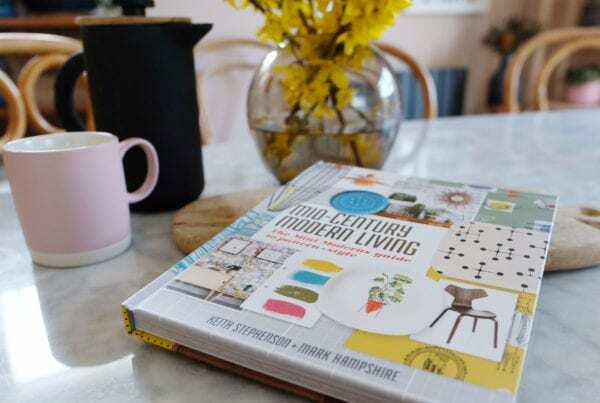 Gone are the neutrals of bone, white, grey; colour and pattern is what its all about and I am loving everything about it. A room can be totally transformed with just tiles. 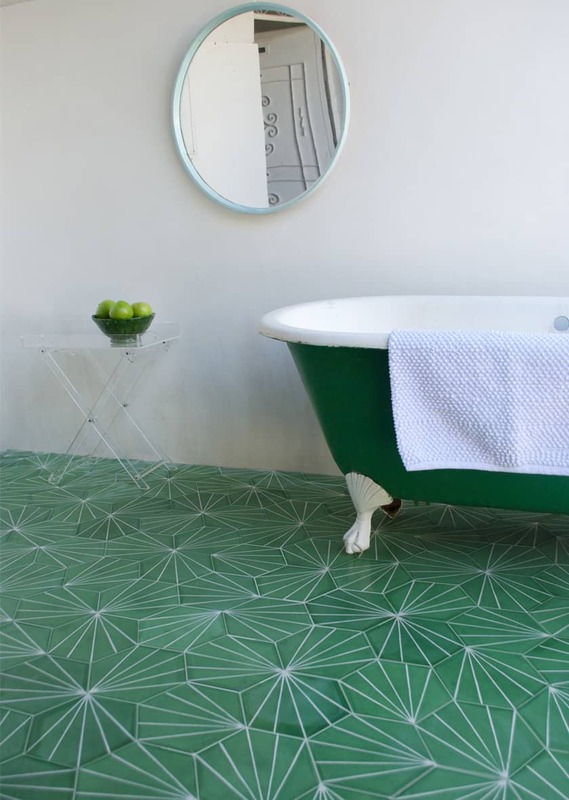 So lets embrace the floor tile, lets explore at colour and pattern! 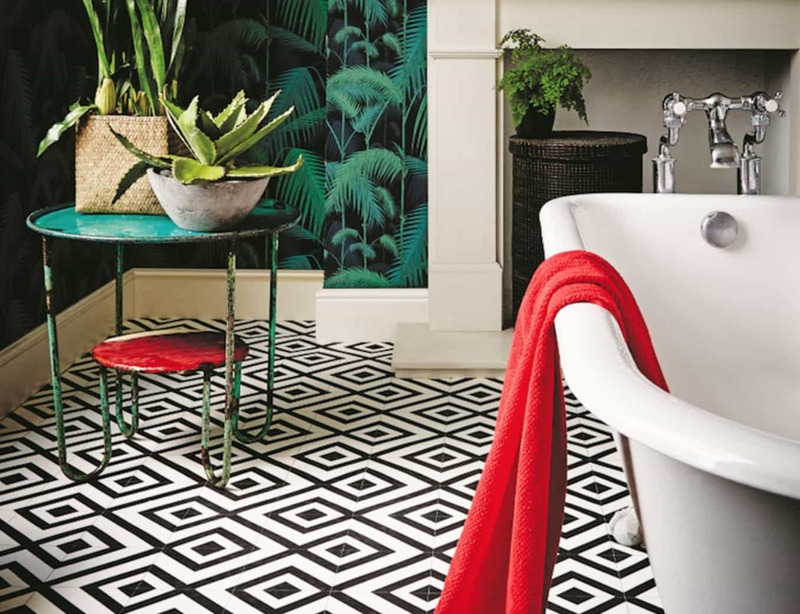 Let your floor take a risk and become that show-stopper, from bathrooms to kitchens to that small downstairs loo. Not forgetting, one of the main places that you can be sure to make your mark with tiling, is the hallway. 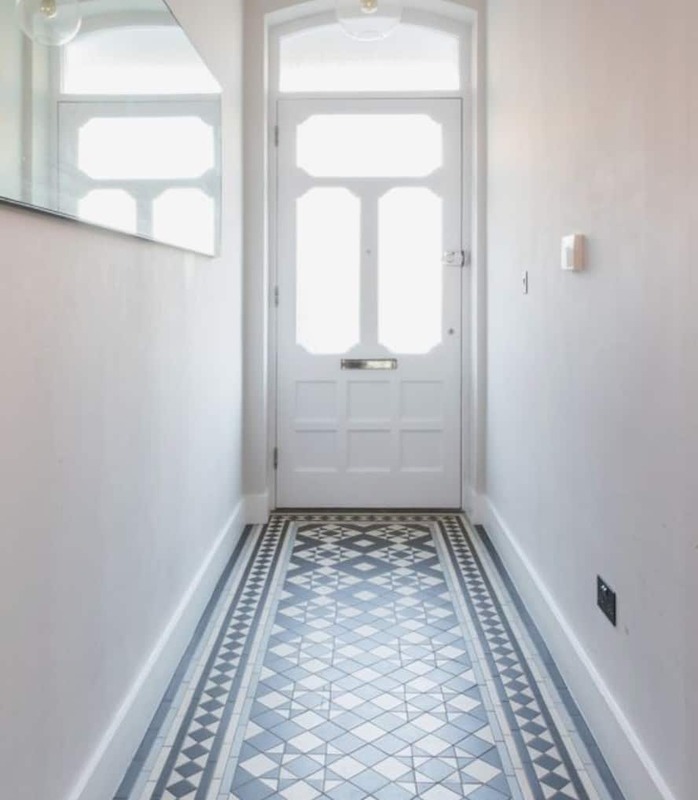 Floor tiles are great for a hallway as they can be quickly cleaned and are quite resistance to wear in high traffic areas. However, a wet tile floor isn’t good for anyone. 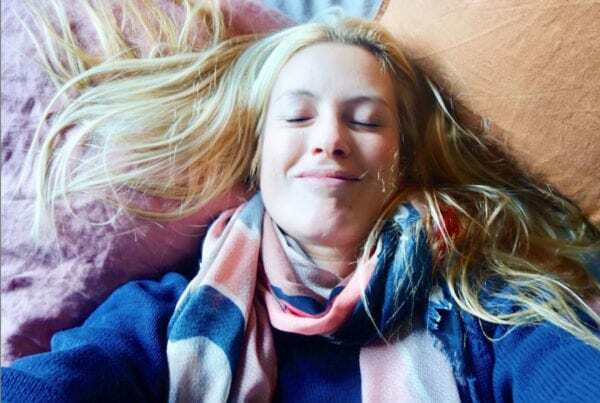 One of my top tips for a tiled hall way is to think about the entrance; muddy feet, wet umbrellas, football boots and all the lovely things that come with family life. The cure? The humble mat. Now we are not talking that little square bit of fabric, we are talking about a good fitted matt or coir that reaches a good meter into the hall way. Hexagon geo floor tiles integrated with wood flooring looks just fab! It allows you to zone out different areas of the floor and create some really beautiful effects. We like it used in areas where you might have wet and dry areas, such as a bathroom or kitchen. 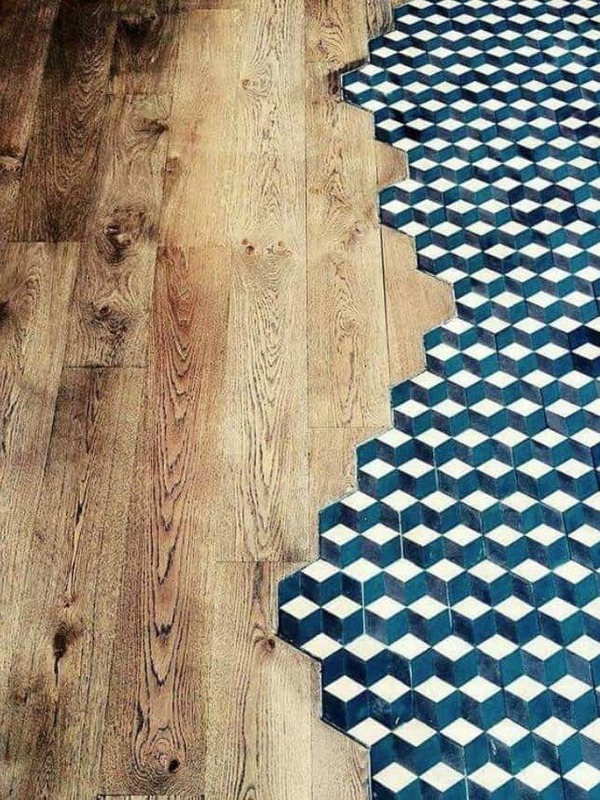 This is as good as floor tile inspiration gets! 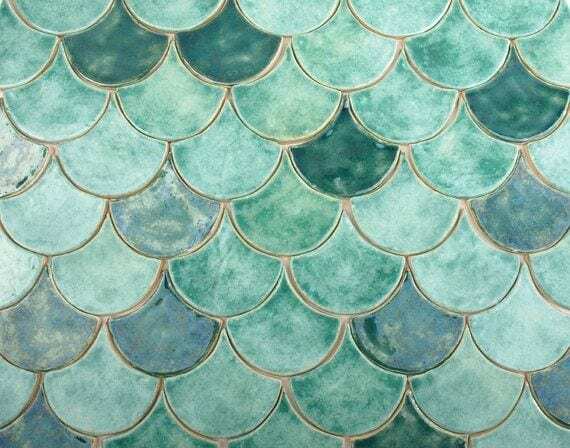 If you don’t fancy real tiles or they don’t practically work for your space, you could give this a go… These beautiful fish scale shapes have been cast into concrete creating an amazing and durable effect. We’ve been swooning over Claesson Koivisto Rune’s beautiful selection of tiles. 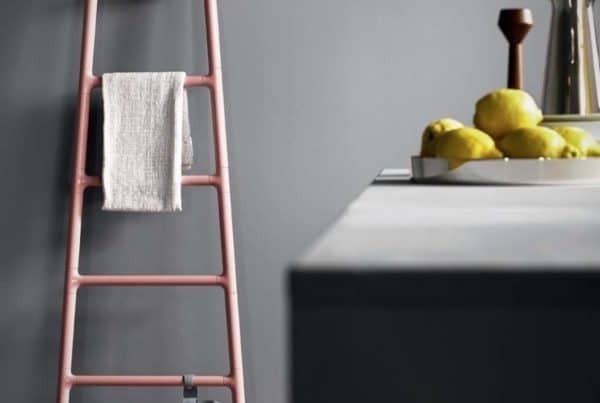 We’ve seen them fill our Pinterest boards over the last year and they’ve expanded their range to include some truly amazing tiles! One of the most popular is their Dandelion range. Check out this project on their website here. 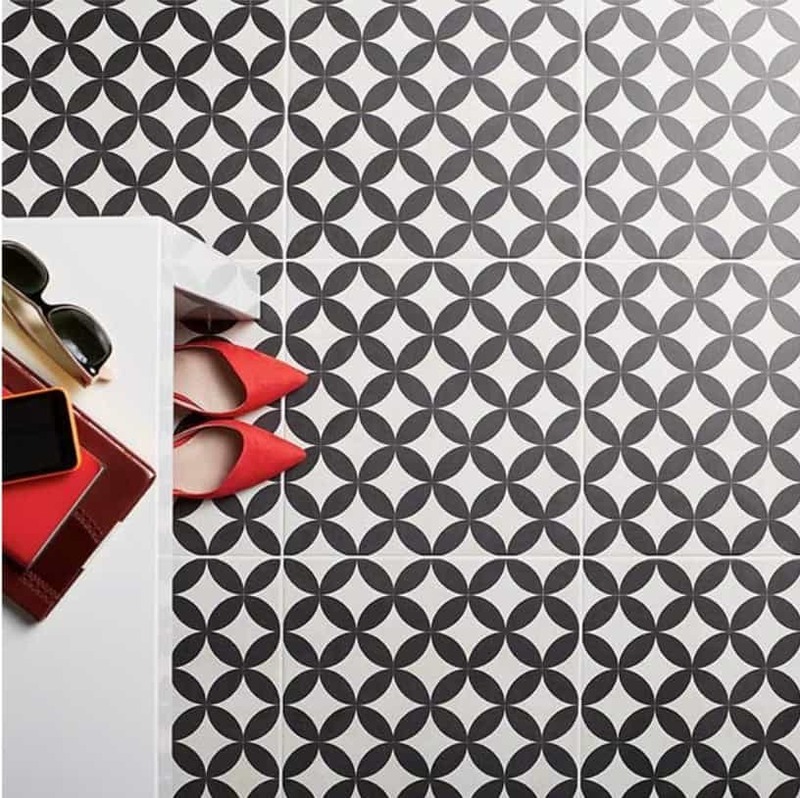 Love the Bertie black and white tiles, modern geometric take on the traditional black and white. Show me some more ideas!